Fishing and relaxing on your boat shouldn’t be a contact sport. So, Hewescraft maximizes the usable space on every model so you always have all the room you need. Smaller boats usually mean small cabins and cramped driving. Not so with a Hewescraft. Newly redesigned consoles and seating positions make driving a Hewescraft a joy. Compare Hewescraft’s large doors and tall windows to those in other boats and it’s easy to see the difference. Hewescraft’s visibility, convenience, and accessibility can’t be matched. Spacious cabins and multiple seating options allow you to choose seats that spread out into a bed for comfortable overnighting on the water. Every Hewescraft hull is made from quality 5086 and 5052 aluminum alloys—materials with ten times the shear strength of fiberglass. "Heavy-gauge aluminum" doesn’t mean a heavy boat. Welded aluminum Hewescraft boats are typically one-third lighter than comparably sized fiberglass boats. All-welded means no rivets to loosen or leak over time. 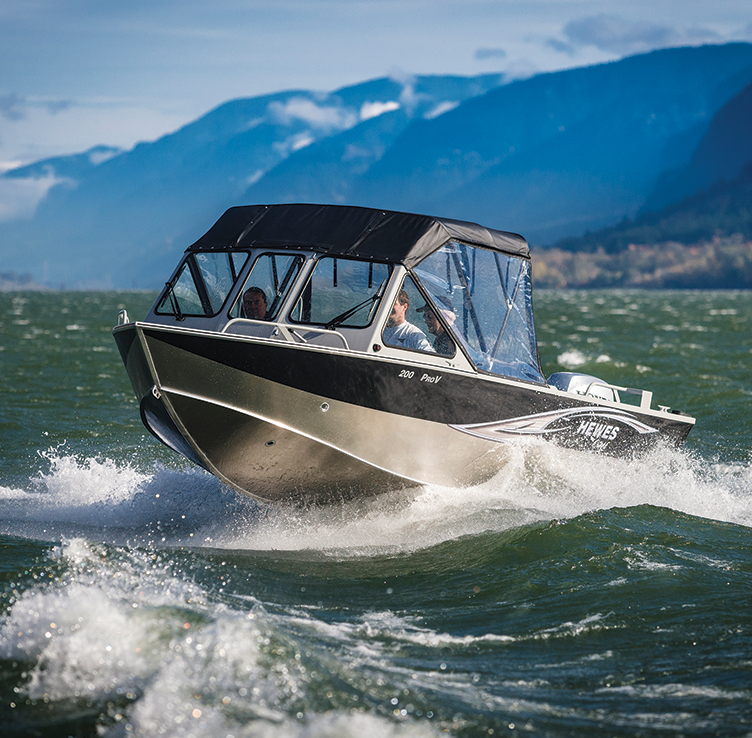 Every Hewescraft has a lifetime hull and weld warranty to the original owner. 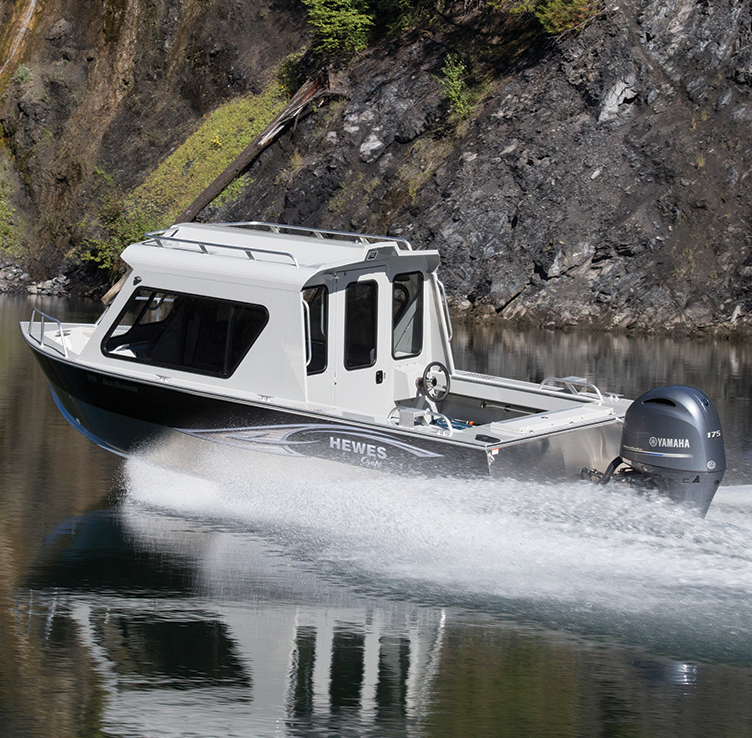 Hewescraft boats are designed for the rock and gravel of Pacific Northwest shorelines. Park your Hewescraft on the beach without worrying about cracking your hull. Every Hewescraft hull is backed by a lifetime warranty to the original owner. We back it so you know you can depend on it. Hewescraft boats are wired to meet or exceed strict ABYC standards leading to improved performance and excellent corrosion protection. Some models feature self-draining welded aluminum decks. Others feature treated plywood with vinyl coating. All floors are lifetime warrantied. Not just any marine shop can be a Hewescraft dealer. Depend on your Hewescraft dealer to help keep your boat ready for whenever the bite is on. Every Hewescraft is built with enough flotation foam to keep the boat afloat even when it’s turned over or completely filled with water. We help you keep the kids and grandkids safe with deep fishing areas and high sides. Boot friendly toe kicks also keep you in the boat while leaning out to net your catch. Our extended transom models keep the engine out away from the work and fishing area and keeps water out with a full-height transom gunwale. A boat designed to take rough water can never have too many places to hold on. Hewescraft boats feature abundant overhead grab handles, bow rails, roof rails, stern rails, and more. Fishing and relaxing on your boat shouldn’t be a contact sport. 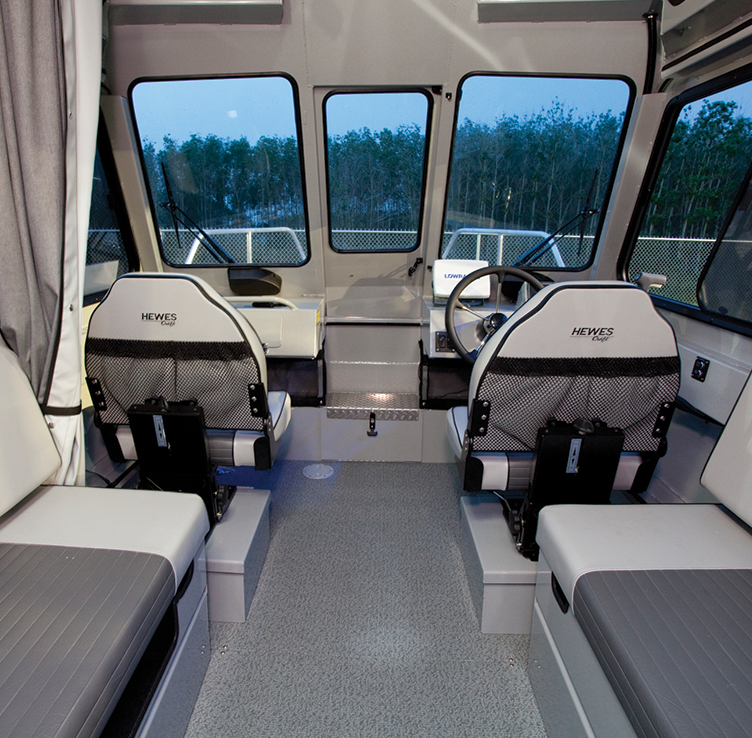 Hewescraft maximizes the usable space on every model so you always have all the room you need. Hewescraft boats are renowned for their toughness. That’s why we’ve been the #1-selling boat in Alaska for more than two decades. Your Hewescraft is ready to hit the water when you are. 65+ years of boat building experience means not just a boat you can count on, but a boat company you can count on. 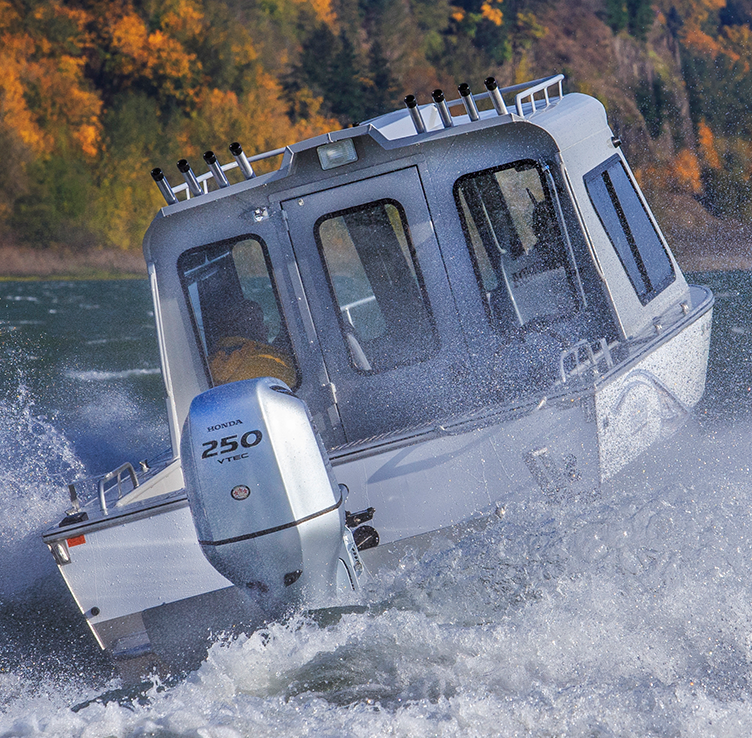 Safety is Hewes Marine Company’s top priority. Every Hewescraft boat leaves the Colville, WA factory exceeding all US Coast Guard and Transport Canada safety requirements.